Twenty First Security offer an extensive range of quality access control systems including keypads, keyless access systems and more. All of our systems are supplied and installed at competitive rates by our fully licensed and trained technicians. * Free quotes are available for Melbourne suburbs in our broad service area. Contact us to find out more and to see if you're applicable. Owning a domestic or commercial property comes with a variety of challenges, from day to day maintenance to security considerations. Access control systems are arguably the strongest and most sophisticated form of security you can implement to protect a property. This is especially true of commercial buildings, which have greater security needs due to the larger amount of people accessing the premises (staff, clients/customers, partners and other guests) and the valuable assets they can hold from cash to expensive equipment. Access control systems are incredibly reliable for protecting your building without disrupting day to day activities. Twenty First Security Access Control Systems offer extremely high security to businesses requiring authorised access to restricted areas. Today's comprehensive business environment demands uncompromising levels of security efficiency and sophistication. Limiting access, building management and high security solutions are of paramount importance when considering the options to safeguard your business. Not only can you restrict access to staff and visitors, you can also keep track of who enters what area, when and how long they are there via means of a computer log or instantaneous computer printout. This coupled with a Twenty First Security Alarm System offers a virtually impenetrable barrier to unwanted intruders. These systems are both affordable and simple to use. A totally integrated building and energy management system also decreases running costs. A safe and secure working environment means higher productivity and reduced losses, which of course means higher profits. A Twenty First Security Access Control System is the complete solution that provides everything you could expect from a high technology security and building management system, while keeping foremost the simplicity of operation. Future building management requirements are easily met by the unprecedented innovations incorporated in the modular and expandable design, which allows your security management solution to expand and grow with your business needs. Flexibility and versatility means a Twenty First Security Access Control System can meet the most demanding requirements with minimal associated costs. Our quality access control systems allow you to easily and cost-effectively control who can access your business premises and various locations within your business. Improve the security of your business and automate the process of allowing staff access, providing you with more time to focus on your business and what's important to you. We provide free quotes for businesses (including warehouses, yards, venues, restaurants and offices) in Melbourne VIC. To obtain your free quote, simply call us now on 1300 315 522 or send your enquiry. Protect your home and family, plus easily automate who can access your property, with a comprehensive access control system from Twenty First Security. To find out more on how a access control system can help protect your home, call us now on 1300 315 522 or send your enquiry. Over the years, there have been major advancements in biometric and digital access control technology, allowing them to better combat potential security threats. It’s important to keep in mind, however, that the best security system for your property is not always going to be the most advanced system. That’s why we offer flexible solutions to suit your particular needs and budget. To choose the right system, a careful assessment of those security needs will be required to help you select a set up that best matches your needs. This is something the team at Twenty First Security can help with. Below are some key considerations. Access control systems can be as simple or as complex as required. It’s essential that you understand what you want to get out of your system. For example, if you are installing a system in your home, you might also want to remotely control things like door locking or have the ability to monitor your home from a mobile device while you’re away. 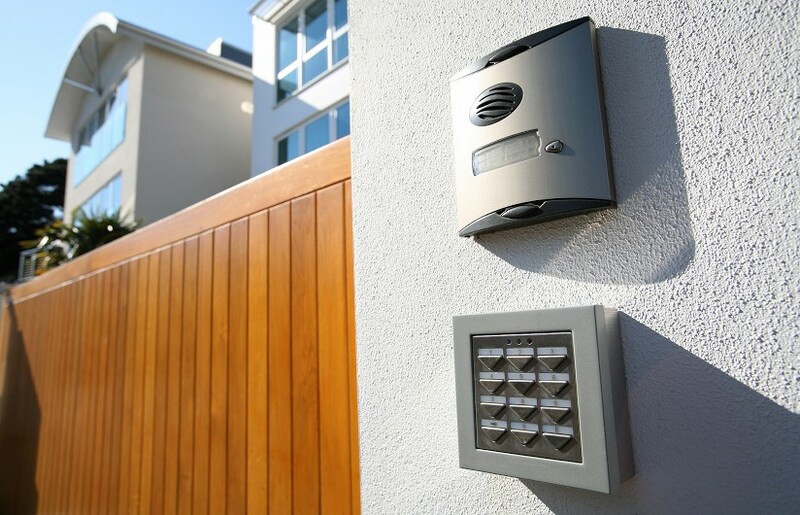 Other features you can get with access control panels include an intercom system, electronic lock, keyless door lock, digital door lock or even a fingerprint lock. If you’re installing a system for your business, the main focus may be keeping track of which employees can access different areas of the premises. You might have some areas of the building that are “off limits” to certain employees. Or you might want vendors to access the building without being buzzed in while also not having the ability to access certain areas. Maybe you want your system to work as an employee time card verification as well as an access system. Of course, you also need to establish what level of security you want to achieve. Asking experts to assess your premises and make security recommendations is a good way to start this process. Once you decide these factors, you can make decisions about what kind of features you want from key cards to keypads. The type of property and its location are two of the most important things to consider. Buildings located near high traffic areas, transportation, tourist attractions and cultural centres tend to have an inherently higher risk of crime and may require extra security measures. Your security needs will also depend on what type of business you are. While all businesses have security concerns, companies in certain industries such as chemical production, finance and banking or government administration may require additional security precautions such as fingerprint door locks. An organisation in the retail or healthcare industry with a large number of walk-in visitors face risks related to high traffic and may also require a plan for handling traffic and avoiding or limiting congestion in lobbies as well as a having a high quality physical security system. How Many Areas Do You Want to Secure? Properties are as diverse as the families and businesses that occupy them, thus the security system that protects them must reflect this. Solutions range from a simple, standalone one door solution all the way to a fully integrated building-wide access control system that allows you to restrict access to certain areas to certain individuals with the right clearances as well as monitor access and time spent in those areas. Of course, there are also plenty of options in between. When choosing an access control system, you should consider what level of security you require as well as how many areas you want to secure and what kind of areas they are, from rooms to cabinets and lockers. Implementing an access control system is costly and to ensure it’s effective, you should ensure it is manufactured by a reputable company. System maturity, numerous clients and a strong track record are key indicators of how much end user feedback has contributed to its development, how much it’s been reviewed and tested and ultimately how effective, robust and scalable the system is. Look for real examples of where the manufacturer’s system is being used to manage the traffic flow and/or security of a premises. Look for other end users that are similar in size and scope to your company to get a better idea of how well they might meet your needs. There’s a good chance a reputable access control systems manufacturer will have clients that are of a similar size, scope and business type to yours, allowing you a certain level of comfort that the system will suit your needs. Twenty First Security are experts when it comes to recommending a high quality security system to suit your needs and budget. From businesses to family homes, we’re here to help you. How Reliable and Cost Effective is the System? Consider the cost and useful life of the system. Security solutions like biometrics are usually more on the expensive side while smart cards and keypads are some of the most affordable solutions. Most businesses want a system that is both effective and affordable but remember that it’s often worth investing more in a system that will be reliable over the long term and offers the capacity for upgrades and integrations. Rather than immediately looking for the smallest upfront costs, do a breakdown of the costs over a five year period and decide what kind of system will give you the best value. This includes all costs related to installation, operation, training, maintenance, repairs and upgrades. The ability to upgrade and scale your security solution is important as your business may grow or expand into new areas and security technology will continue to advance, with more cost effective and improved systems coming onto the market over time. How Does it Integrate With Other Technology? Software is a key component of access control systems, particularly when you include monitoring capabilities. You should ensure the system you choose to use will run well on the operating system that your organisation uses for any computers that are on site. If you want to create a custom security solution that integrates with other systems such as CCTV or remote monitoring, ensure you have the right technology in place to do so. You should also consider things such as whether you want web based connectivity to your access control system. This allows you to manage users, system devices and view reports from any device that has access to the internet. A major manufacturer of security systems that Twenty First Security partners with is Bosch, who have a strong reputation established over years of designing high quality, reliable security solutions that are used by countless businesses and domestic homes around Australia. The Bosch access control panel offers a flexible system with scalable hardware components including access modular controllers, readers and credentials. The system grows with your security needs. Twenty First Security is an authorised dealer and Bosch Security Certified Partner. We have a unique relationship with Bosch that has allowed us to offer quality security systems at competitive prices to individuals, businesses and organisations in domestic and commercial properties. We have worked together with Bosch for over three decades on a variety of security solutions in a vast range of premises with different layouts, designs, sizes and requirements. So whether you need to protect the contents of your office, venue, warehouse or home, our team have the expertise to assist you with quality Bosch products. Offers high speed interfaces and communication between devices. Provides integrated access control options including electronic locks, proximity readers / key card readers and keypads. Allows for easy remote arming. Lasts the test of time with durable, weatherproof external interfaces. Provides multiple wire free options. Offers a simple user interface that is intuitive and quick to get a hang of. Provides discreet options when you want your security systems to blend right into the surrounding environment. Offers a range of versatile accessories to suit your particular needs. Having been in the security industry for over three decades, we have used and installed a variety of systems and watched as the technology has improved and the best systems have come to dominate the market. We only used the best available security solutions in Australia and Bosch shines through as a reliable provider of high quality access control systems suitable for both commercial and domestic needs. At Twenty First Security, we don’t just supply quality access control systems. We also help our customers with reliable installation and maintenance services, conducted by experienced experts. With over 33 years of experience in the industry, you can be sure your security systems will be managed reliably regardless of the type of premises and whether you’re a large business or a homeowner. We can visit your property to assess your security needs, recommend a solution and then install it. If remote monitoring is part of your security plan, we also offer 24 hour surveillance so you can be sure that your premises always has a watchful eye to respond to security threats when necessary. Once your security system is implemented, we can regularly maintain it, conduct repairs where necessary and advise you on any necessary or recommended upgrades or improves that can be made to your system. Our team also offers free, no obligation quotes and consultation sessions for customers. We will happily visit your premises to evaluation your security needs and recommend a solution that fits your budget and specific requirements. Our free on-site quotes are available to domestic and commercial customers throughout the Melbourne metropolitan and rural areas. Simply contact us and we’ll arrange a time to visit and discuss your security needs. If you’d rather discuss security solutions over the phone, we can also talk through your options in detail. Whatever your needs are, our licensed and trained security team are happy to help and strive to always deliver a high quality service. Why Choose Twenty First Security? Over 33 years industry experience. We're Australian owned and operated. We are an authorised dealer of Bosch security products. We're a member of the Australian Security Industry Association Limited (ASIAL). Our technicians and licensed and fully trained. We can install, repair and upgrade your security devices. All of our products and services are provided at a competitive price. We provide an extensive range of CCTV / camera, access control and alarm products to suit your needs. We provide products and services for commercial, residential and non-profit use. From large warehouses and corporate offices to small homes and everything in between, we're here to help you. For those looking for extra security and peace of mind, we offer 24 hour monitoring services. We can visit you at your Melbourne location. Ongoing support when you need it. If you have any questions or require further assistance, our team are here to help you. If you’d like an access control system in Melbourne or would like more information about our range of security solutions, contact the experienced team at Twenty First Security. Call us now on 1300 315 522 or send your enquiry to find out how Twenty First Security can help efficiently secure your commercial or domestic property.